The Chances of Getting Lung Cancer After Quitting Smoking and What Are The Risks? The Voopoo Boycott – Did Voopoo Steal The 80w Pulse Design? How Does Ultimate Vape Deals Sell E-Juice For So Cheap? Links to everything I talk about are below. 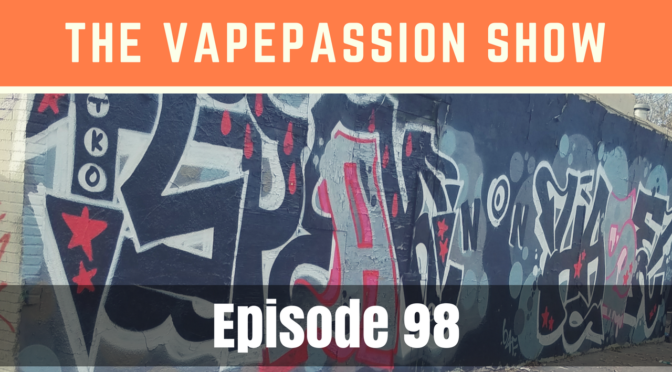 If you like the show, consider donating to help keep The VapePassion Show going. Even a dollar helps! Show a little love and Share on Facebook and Twitter. Thanks! Want to listen to the podcast version instead?